Roger has over 30 years experience supporting business owners through the emotional roller coaster that businesses in financial difficulties face. Initially on the other side of the fence as an accountant in industry working for both small and international companies. 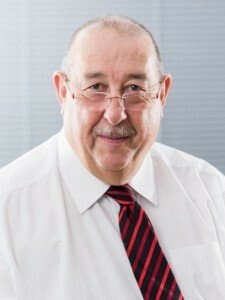 Since 1985 Roger has worked in business rescue and insolvency both for individuals and companies. Roger is able to grasp the business's current financial difficulties and offer advice as to the range of options available. Often finding that initial enquiries do not always lead to formal insolvency procedures. Whilst the common denominator is that most businesses that come to us have financial difficulties of one sort or another but that is generally where the similarity stops. Roger can provide a fresh approach to unique each situation. Roger is qualified by experience.